A developer entrusted with a pre-release version of the iPad has detailed Apple's extensive efforts, including photographing the wood grain of the desk the device was chained to, to keep the tablet under wraps before its unveiling last year. The developer, who created a "very successful" iPad app but wished to remain unnamed, told BusinessInsider in an interview that he was "probably the sixth person to get an iPad." In order to allow early access to a test unit, Apple presented him with strict criteria such as the use of a room with no windows and new locks. The iPad maker also took down the names and social security numbers of the four developers allowed in the room. In order to secure the device, Apple drilled a hole in a desk and chained the prototype to it using bicycle cables. It also used custom frames to disguise the appearance of the device. Apple even went so far as to take pictures of the wood grain of the desk so that any leaked pictures could be traced back to the developer. "We could plug into them so we could code to them and we could touch the screen and play with that, but we couldn't see the form factor," he said. The developer was forbidden from telling anyone, not even his company's CEO or his wife, about the project. "You're going to get fired if this doesn't work," his wife told him. 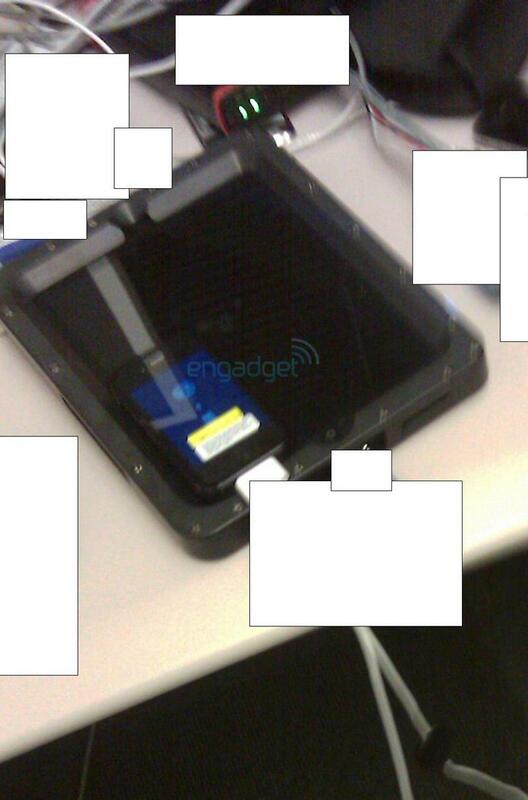 The security setup as described by the developer closely resembles one pictured in a leaked photo that emerged just before the unveiling of the iPad on Jan. 27, 2010. The report also corroborates details revealed last year about Apple's provisions for developers requiring that they lock the test unit in a secret room. Even after the formal introduction of the iPad, companies with prototype hardware were required to keep it "under padlock and key," with the key turned by Apple every night. Several of Apple's own employees noted on the eve of the device's launch that they had yet to see the iPad. According to a report from 2009, Apple's culture of secrecy dates back to around the release of the original Macintosh in 1984. "It really started around trying to keep the surprise aspect to product launches, which can have a lot of power," said former Apple marketing guru Regis McKenna. Apple's current security protocols require employees working on secret projects to "pass through a maze of security doors, swiping their badges again and again and finally entering a numeric code to reach their offices." Workers testing sensitive projects are also instructed to "cover up devices with black cloaks when they are working on them, and turn on a red warning light when devices are unmasked so that everyone knows to be extra-careful." The company is also looking to bolster its security team, recently posting two openings for Managers of New Product Security. The hires come after the company has suffered two embarrassing incidents involving iPhone prototypes lost in bars. Last year, an Apple engineer mistakenly left a test iPhone 4 unit at a Redwood City, Calif., bar. The device was eventually sold to a publication and leaked online. In July, a prototype of the company's fifth-generation iPhone went missing at a bar in San Francisco. Apple security officials reportedly tracked the device to a residence and enlisted the help of the police department in its search for the handset.